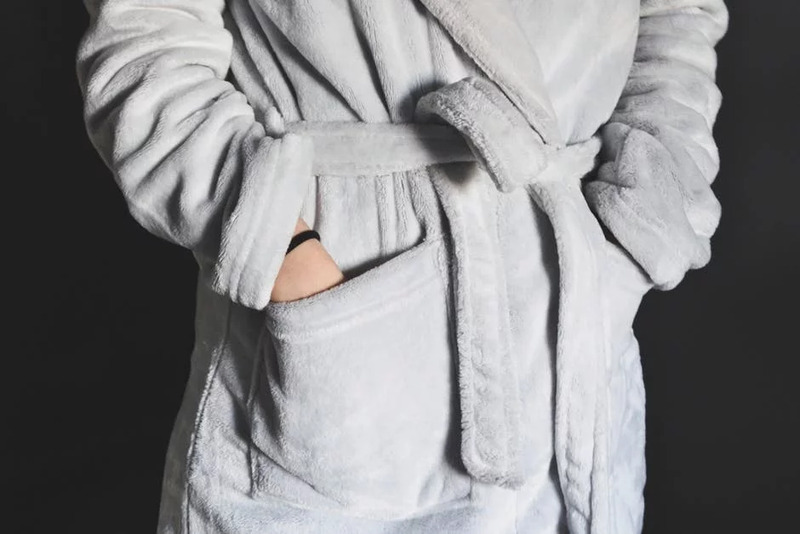 You can’t beat the luxury hotel feel of plump, sumptuous towels as pure and white as the driven snow. 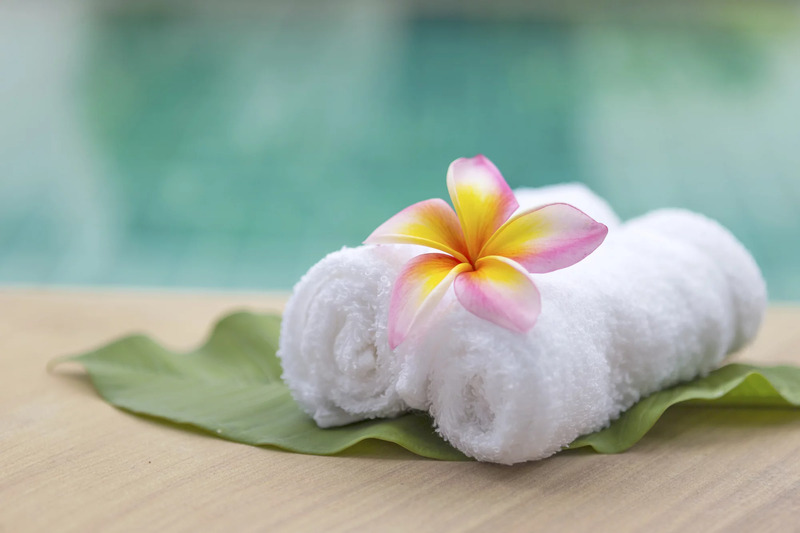 White towels can be a great addition to your bathroom, giving it class and sophistication. That is until that white becomes more sidewalk slush than mountaintop brilliance. Don’t despair! 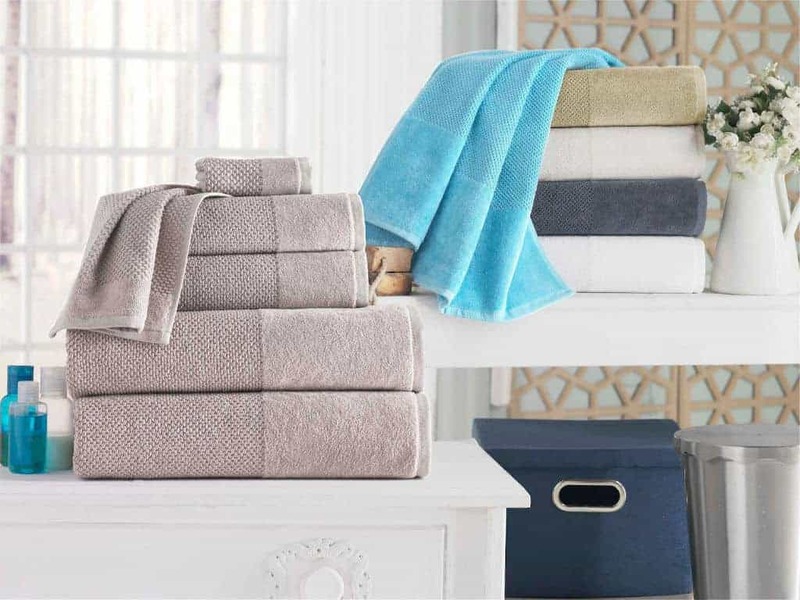 Read on for a few tips on washing whites to keep those towels bright and brilliant. Washing Whites 101: To Bleach, or not to Bleach? When trying to keep our whites bright, most of us reach for the laundry bleach without a second thought. 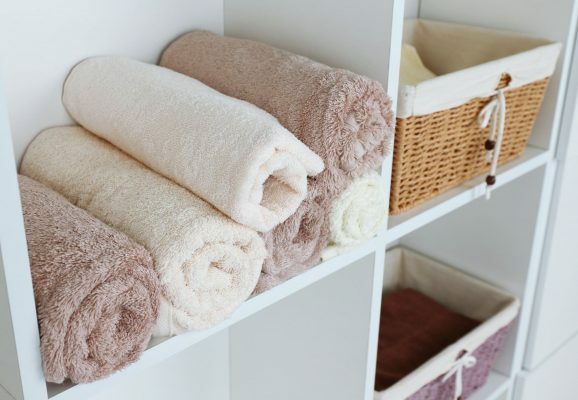 And this can be a great option – as long as its suitable for your towels. Check out the label. Often you will see a little warning ‘Do not bleach’. Ignore this at your peril. With high-quality brands, this will be included on their white towels for good reason. However, if you think this might be a case of sticking the same label on all the towels in the range, regardless of color, you could do a small test on an inconspicuous spot to check if there’s any change in color. If you do decide to go down the bleach route, it goes without saying that you must take extra care to separate your whites from the rest of your laundry. 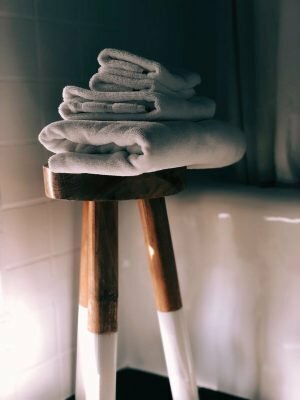 For white towels, choose a hot wash, and add the amount of bleach recommended on the bottle, along with your regular detergent. 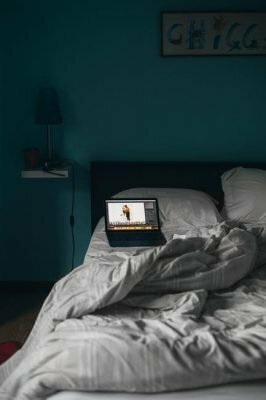 If you’d prefer to stay away from bleach, or like many people just can’t stand the smell, then there are natural alternatives that can be just as effective. Putting vinegar in the laundry is growing in popularity, and for good reason! Added to the rinse cycle, it can make your towels soft and fluffy and can get rid of any detergent that hasn’t been rinsed away. 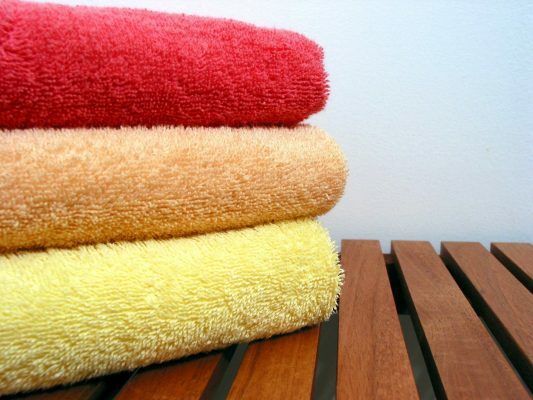 Soaking your towels overnight in hot water mixed with a cup of white vinegar can also keep them white as the vinegar acts as an optical brightener. 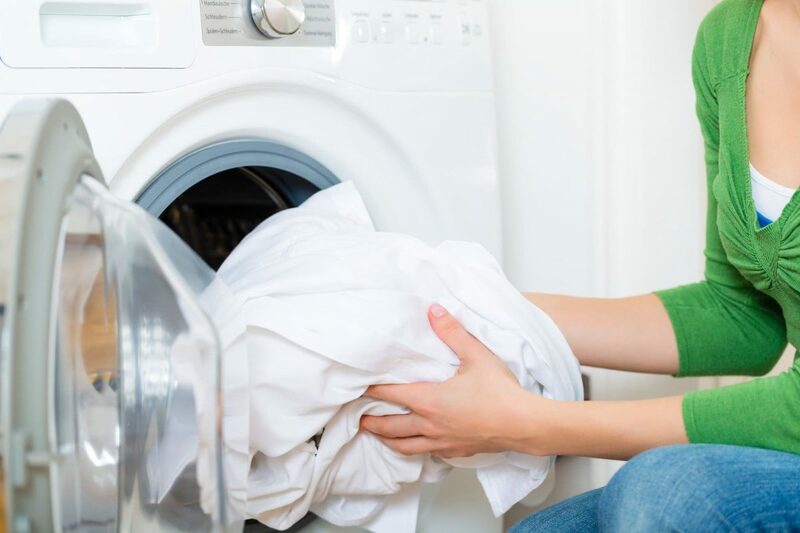 Using baking soda in the laundry is also a great way to naturally brighten whites without using chlorine bleach. Simply add a half a cup of baking soda in with your detergent and allow it to work its magic. It can also be used in conjunction with vinegar. After soaking the towels in a vinegar solution, add baking soda to the wash cycle to get the best of both worlds. As we know from seeing signs and billboards that are past their sell by date, the sun is one of the most powerful bleaching agents out there. 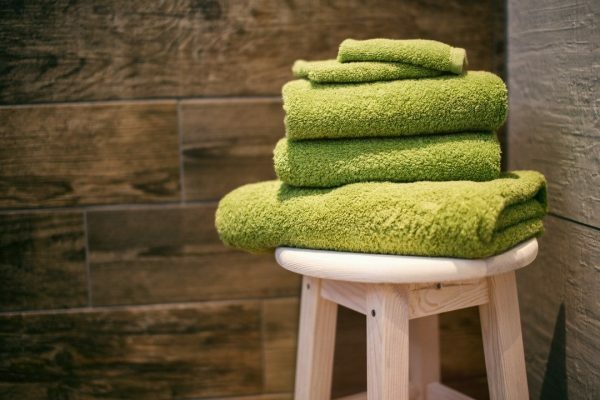 If you have the facility to do so, then line dry your towels rather than tumble drying. 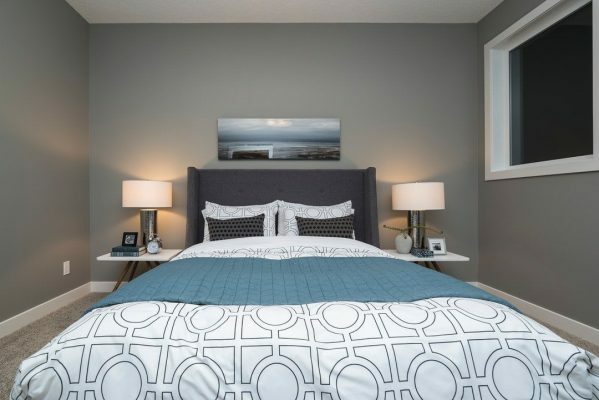 The UV rays will also help to kill any remaining bacteria. The main points to remember for success when washing whites are separate carefully and give them special treatment. Whether you go the bleach or natural route, following our tips will help you maintain the luxurious feel and look you are going for. Click here to check out our gorgeous range of white Turkish towels just waiting to grace your bathroom!